How to Develop a Local Business Directory App Like Yelp? With every passing day, there are new apps in the market, and the number keeps on growing as per the current scenario. Every time an app comes in the market with the hope of delivering new and more features than other application of their domain. As people, these days want new facilities in their control, and such desires are getting fulfilled by the modern era technologies. 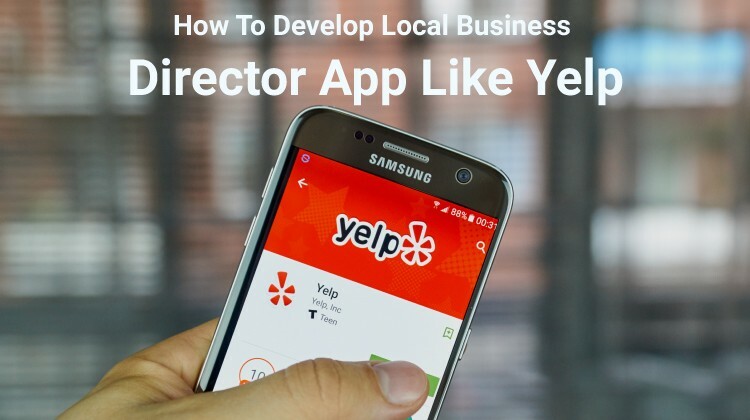 Let’s discuss one similar app; local business directory app is one of those apps which become a sensation and known by the name “Yelp.” The app is very much helpful for a person in different aspects; also it gains a lot of popularity within a short period of time. The Yelp app is available for both Android and iOS platforms; this makes the app available for both Android and iOS users. Moreover, if you want to develop the app similar to Yelp then, it necessary is for you first to understand every feature of this app. With proper understanding, it is also necessary to have knowledge regarding the development of Android and iOS app. 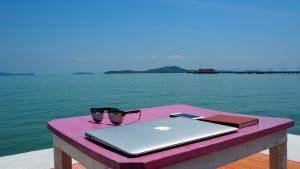 Even, you can hire any reputed software developing company for your Android or iOS App Development which has become the trend in this technological world driving the soul of modern businesses. What exactly is the Yelp app? U.S.A based company Yelp Inc develop the app. It doesn’t matter what enterprises or establishment you are finding you can browse the application and you can know about your desired location. Whether you are searching for a restaurant or a hotel, this app can help you to find the desired location. You can see the reviews to choose the best among the available options. First of all, the app detects your location and after that provides you the list of all the available options. Options included are cafes, saloons, shops, market and many more. You can also apply the filters to make your search limited as per the requirement. Once you have selected the option, you can get detailed information about that particular category which includes working hours, address and contact details. There will be a map to guide you the right destination. You can check the reviews of people who have visited the place and even share your experience as reviews or comment. As per the estimation, every month more than 142 million people download the app helped them in improving the service selection quality. The increased rating of the Yelp App expected to increase the sales by 5 to 9%. Every year about $8,000 sans add and $23,000 paid adds are on the app which indicates that businesses in the list of Yelp app can get good review and higher revenue. Embed review: With this feature, the customer can embed the reviews to their platform, and for this, the customer uses review’s code. The system creates the code when customer taps on ‘embed’ option. Integration of google map: Using this feature, the user can locate the different businesses on google map for providing customer navigation. Integration of Cloud Storage: Amazon and google storage is used for storing the information in a safe and secure manner. Content Management System: CMS allows to effectively manage the app content in images and the text format. Payment Gateway Integration: Integration of payment gateway allow users to securely make the payments. Payment modes like Paypal, debit and credit transactions, stripe, Braintree and many more can be integrated. SMS API integration: It allows to send the notifications to the users via SMS. Reporting and Analytics: It’s feature allows admin to get the updates about users visiting the app, details about bookings, etc. User profiles need to be considered first whether it’s for the business or user. Both have interaction in an entire advertising campaign through answering and giving the reviews, posting a photo, comment form, etc. At some point, user and business may need to revisit the photo or comment they have posted and for they require the leisure. App keeps track of all the information in the right way. Advertisement: Advertisements let you earn more. As per the survey with the advertisement of local businesses, Yelp earned about 73 percent of the total evaluation of the company and got a hike up to $35 billion. Apparel Store: Feature is beneficial for the customers who want to purchase online. Sponsored search: “It is like the Google Search.” Yelp is paid by the dealers of local businesses to increase their ranking in the SERP. Deals and offers: YELP has Inbuilt offer system for their customers. Business Advertising: One can have page customization using the pictures, videos and spotlight reviews. SeatMe: In this, app reservation option is very beneficial for the restaurants and hotels. The option costs $99/month. What cost require for Yelp-like App development? Platform: The platform you choose (Android or IOS). Timescale relies on the complexity of the app which is equal for both. Also, the ultimate cost of the app may vary according to the features supported the more features mean more cost. Design: The good interface is very important, but the complexity has a direct impact upon the cost. If the standard price is about $ 50 per hour, then the basic cost for app designing include the following for both platforms. User experience: The app must be easy to use so that clients can easily navigate from one page to other. User-friendly app design requires 40 to 150 hours and cost is up to $8000. User-Interface Design: According to the market price, User interface takes 70 to 200 hours, and the cost is from $4000 to $ 10000. Nowadays, app development cost also depends on the location of the company. The charges for app development will higher in countries like America, Western Europe and might lesser in countries like India. You will avail the complete app with a single platform, and basic features cost you around $8000-$15000. And if you want to develop both platforms for your application and include advanced features in it, then it cost you about $25000. Thank you for sharing such an informative post! I’ve heard that an average total development cost for an app like Yelp varies from $7455 to $168K, and as you said the total cost of the app may vary deoends on what features you decide to add to your app. I found an interesting article on this subject that pretty much explains a lot of things about launching an app like Yelp.